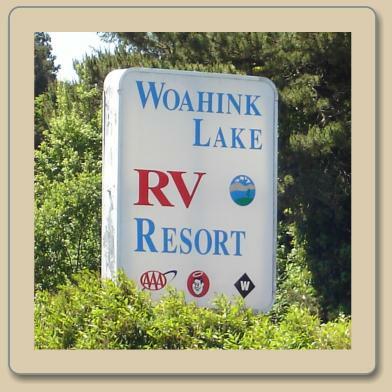 Woahink Lake RV Resort South on Hwy 101: We are 5 miles south of the Florence bridge on the right(West) side of the highway. North on Hwy 101: We are 16 miles north of Reedsport, on the left side of the highway, just past Lakeshore Myrtlewood. We are located halfway between mile post 196 and 195.